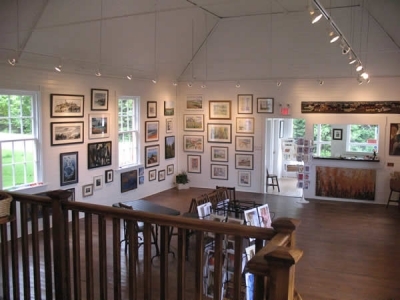 Howes Hall Gallery is an artist-owned and operated fine art gallery exhibiting a unique collection of original art and primitive hooked mats. 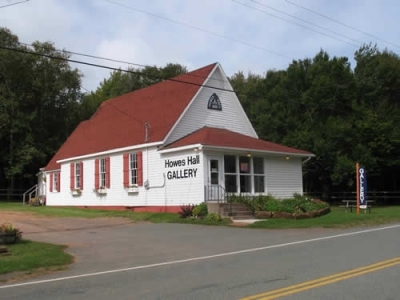 Located at 3421 Brackley Point Road in Brackley Beach, Prince Edward Island, Howes Hall Gallery is open daily 10:00 am - 6:00 pm, mid-June to September 30. 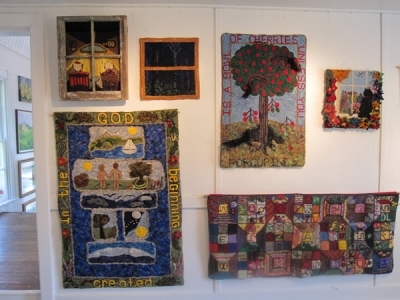 The gallery features the work of The Group on Brackley Bay artists: Betty Jenkins, Mary Ploughman Jones, Margaret Muzika, Linda Shaw Packard, and Mary Roscoe Murphy Robertson. 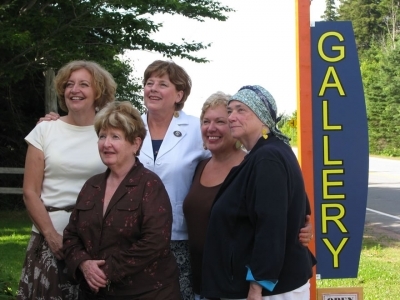 The Group on Brackley Bay had its beginning in 2005 with several artists getting together once a week during the summer months to paint and hook. Creative energy flowed. One idea kept coming up - why not take this one step further and direct some of this energy into starting our own gallery? For almost a century, Howes Hall was home to community events: dinners, dances and Christmas concerts. Vacant in recent years, it now breathes with new life as an exciting artist-run gallery. 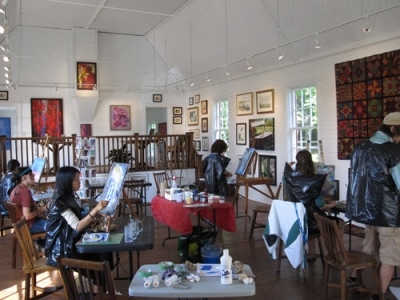 Visit the resident and guest artists working on-site in this charming restored community hall, built in 1891. Acrylic, watercolour and mixed media paintings, and hooked mats, as well as a selection of other items created by the artists are available for sale. Each piece is one-of-a-kind and demonstrates the varied styles of the artists. Classes and workshops are being offered during the summer months by experienced artists. 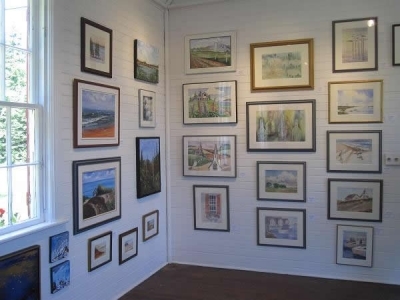 There is a smaller successful gallery space – known as "The Back Room Gallery" - available for visiting artists to exhibit their work or host workshops. More information on renting and using this space is available by contacting Mary Robertson at info@howeshallgallery.com. 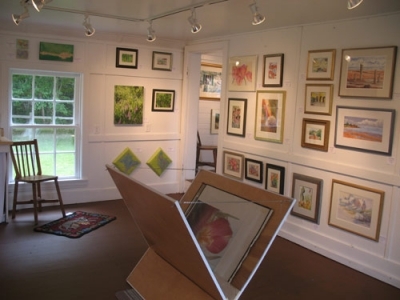 The mission of the Howes Hall Gallery is to provide a venue for the creation, exhibition and sale of art created by the partnership members of The Group on Brackley Bay, to promote the creation and sale of art by other artists, and to provide another artistic attraction in Brackley Beach in order to reinforce the existing rich cultural environment.